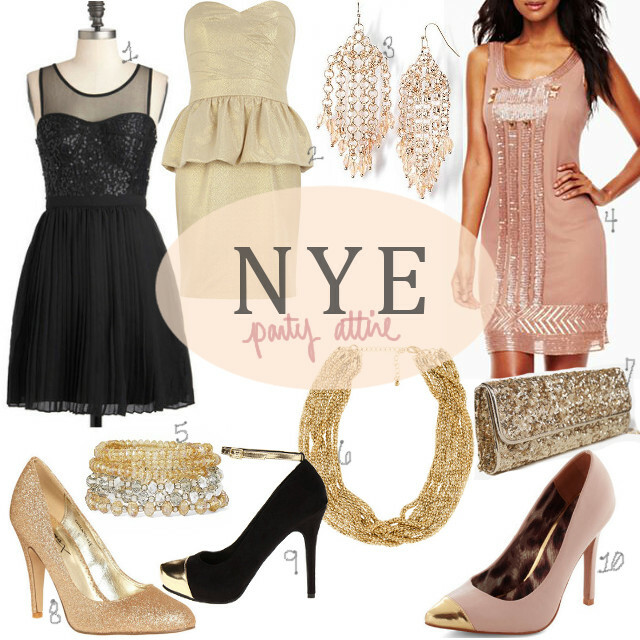 Do you have big plans for new year's eve? This year we're just keeping it low key and having some of my husband's family over for snacks and to play games! If I were going out or to a glamorous party... I would definitely be sporting a sparkly number....or at least some glittery jewels! You can't go wrong with a classic black dress, but I'm also loving this pretty blush colored dress or the ivory peplum one! Happy New Year!